Through an engineering challenge, our instructors help children experience the power of “Yes, I can!”. The session ends with a debrief of Growth Mindset concepts and language that teachers and children can immediately start using in the classroom. 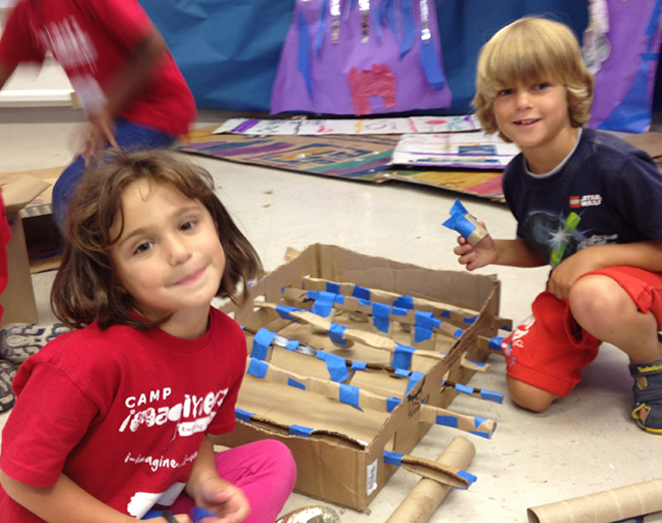 Through a Design challenge, we will lead children through the Stanford Design Thinking process. 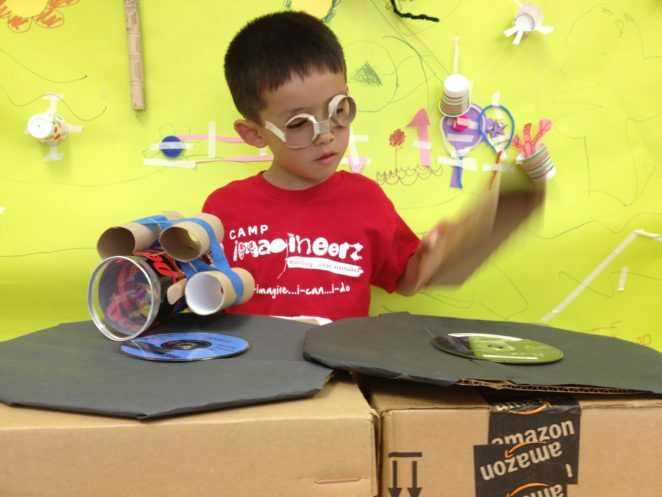 Through the empathy work, ideation, protoyping and testing, children will be amazed at their own creations – they will walk out of the experience knowing that creativity is not something you are born with; it can be learned! We will set up a mobile MakerSpace at your school and provide children with a variety of hands-on challenges. Children experience a space full of ideas, fun materials and limitless possibilities – a place where creativity is celebrated and failure is embraced as a step towards success! Mindsets are built when the home as well as school environments consistently role model and coach children towards a Growth Mindset. Hence, for PTAs who want to run the above experiences for children accompanied by their parents, we offer the family design experiences. Contact us to discuss details. If you are not ready to implement the entire Imagineerz Program at your school but would like to see Imagineerz in action for a short time, the Taste of Imagineerz experiences are for you! For instance, you can run a Growth Mindset or Design Thinking week at your school. Or choose to offer a Maker Space experience at lunch for a week. We can also train a group of parents/teachers to run the above experiences at your school. To request a Taste of Imagineerz experience at your school, please reach out to our Founder Vaibhavi at info@imagineerz-learning.com or by phone at 650-318-5002.